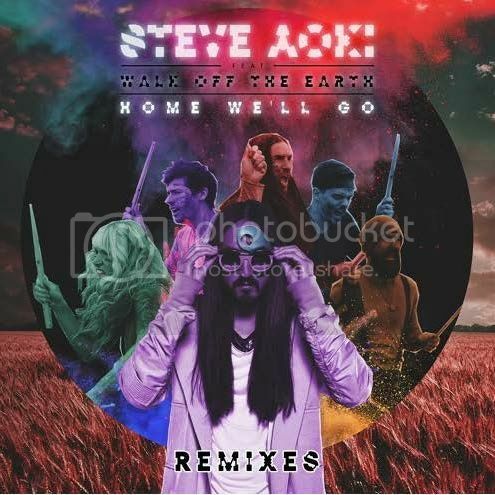 Steve Aoki just dropped a remix EP for his stellar collaboration with Walk Off The Earth,“Home We’ll Go”. Each remix is unique, with Pham’s trop-house meets future-bass sound, K Theory’s trap twist, Merk & Kremont’s festival house, Michael Brun’s melodic ‘Avicii-like sound’ and Genairo Nvilla’s version full of drum and bass. At almost 90k plays, Merk & Kremont’s remix takes the lead, however, it’s not easy to choose a favorite when each one is perfectly fit for a different mood and vibe. That’s what a top-notch EP has to offer though, right? A little taste of everything. Take your pick.